Kids are the most wanted source for all social media platforms. Most of the video platforms are completely rely on the kids who are origins of consuming video content.OTT platforms are stepping ahead to immerse the kids completely in the innovative world that gives much excitement to kids on-demand video content. Here are the list of kids OTT platforms that are being regularly accessed by the kids. YouTube kids are the most known kids OTT app where we can find everything from entertainment to education, especially for the kids. It produces the video content by considering the aspects of the parents that reflects on kids by adding the advanced video filters and features being controlled by the parents. The content generated by it is completely relevant to the kids with no violent and inappropriate videos. It is available on both the Android and iOS mobiles for the simple and easy access. It is one of the best Kids OTT Platforms. BBC has taken an advanced step to make strong interaction with the kids who are the major source to consume the video content that drives continuous engagement. The trending shows of CBBS and CBeebies can be discovered and watched on BBC iPlayer Kids app. It can be accessed through iTunes and Google Play Store. It provides the kids demanding video content for free. The on-demand kid’s video content more than 4,500 episodes are being telecasted by Sky Kids. The kid’s most lovable shows like Peppa Pig, Scooby Doo, and Octonauts, etc. will be watched and downloaded on tablets with no extra fee. It enables the parents to set up the time limit by choosing the sleep mode. It is supported by both the Android and Apple tablets. Netflix is the world trending online video streaming provider at which the audiences are more attached to watch the video content. The launch of ‘just for kids’ category has projected the kid’s favorite characters with amazing video content. Kid’s personal preferences will be prioritized to generate the unique and extraordinary content. It offers the one-month free trail for the new users. The kids show like Care Bears&Cousins, Clangers, Ask the Storybots, Pocoyo, etc. are most demanded videos on ‘just for kids’ category of Netflix. The advanced controlling features which have been monitored by the parents will be available. It completely provides the most kid’s shows like Peppa Pig, Doraemon, and The Lost Legends, etc. with no adds. These shows can be downloaded and watch offline from any device with high-quality videos at low data usage. As we know that Disney is the origin of kid’s movies and shows with stunning and entertaining characters. DineyLife will produce many movies and TV episodes with fresh content for each week. The subscribers of it can get the access to register for free up to one month with no contract. It provides the content that completely relevant to kids education with more fun and entertaining characters and narration. It creates the video content by considering the age groups of the kids. The creative skills for kids will be elaborated by learning through the PlayKids. The content that has been disclosed to the kids will be filtered by the experts to deliver the best. The adventurous games and TV shows will be broadcasted by it that alerts the parents to do controlling activities. The ad-free video content can be watched only at $4.99 per month which is affordable for all the users. They create the content that explores the skills of the kids through different categories like animals, countries, space, a human body, and foods, etc. It is the only app that releases the video content by predicting kid’s preferences with kid’s friendly features. 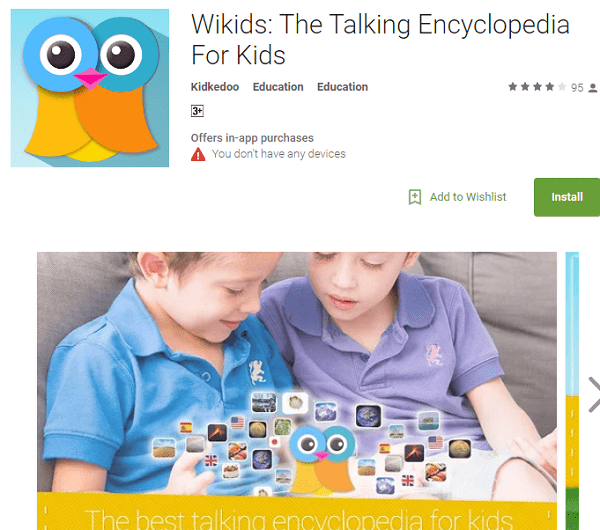 The kids can freely access this app where it cantinas no ads and external links. The most fun generating TV shows can be watched without ads. The of educational rhymes. Music videos and the Babylon babies etc. can be watched from anywhere even during travel. It is the only platform for which every parent is looking for. It is the kid’s most loving app that provides the games, songs, and shows on a single platform. With this app content of the video can be watched offline with no ads with high quality. For only $3.99 per month, the kids can watch 800+ kids TV episodes with 7 days free trail. The registration can be canceled at any time. The real world characters, pets, and scenarios can be observed on the Lego Duplo video content that leads the kids to build the creativity. The app is available for free of cost with no ads, no external links, and no in-app purchases. It is mostly famous as the world number one toy maker through which the characters of the shows are originated from. 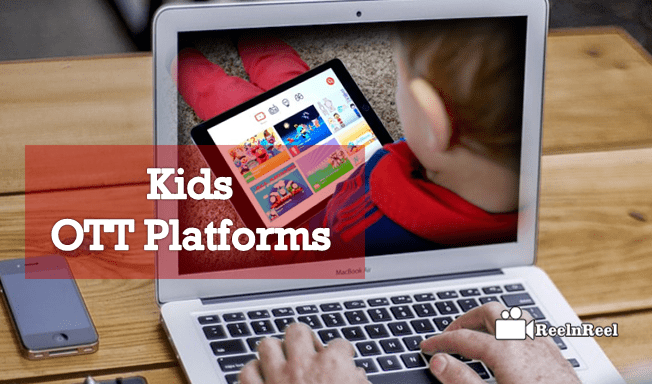 All these Kids OTT Platforms are the most haunting kids OTT platform that is playing a vital role in engaging the kids with ultimate fun that drives the continuous traffic. These Kids OTT Platforms are the only platforms through which the parents are most satisfied with providing the fresh video content for their kids.